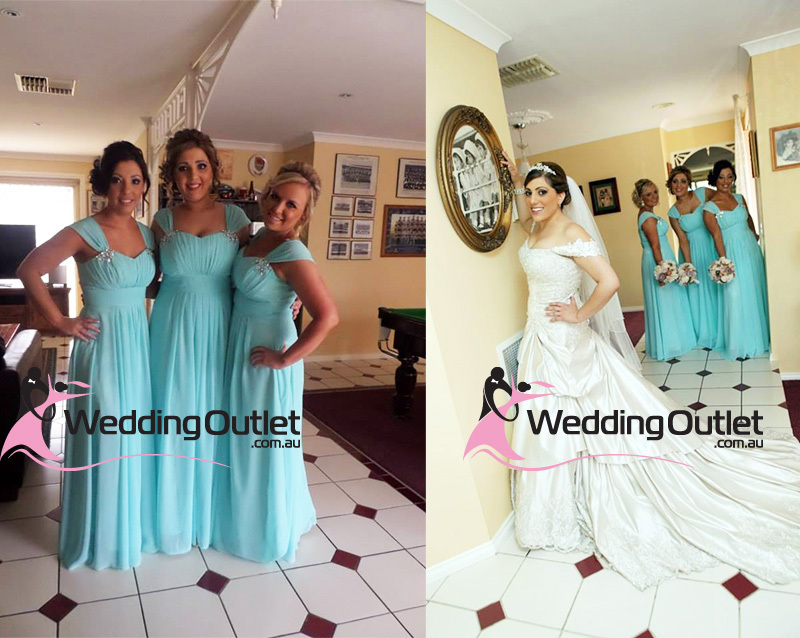 Many brides love the tiffany blue wedding theme because its fresh, vibrant and royal. At WeddingOutlet.co.nz we sell the tiffany blue colour also referred to as Aqua. 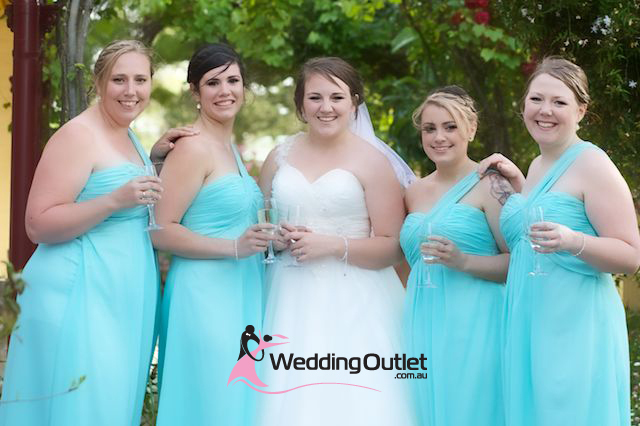 Tiffany Blue bridesmaid dresses are not easy to find because its not available in most stores. This is the reason why we created this business to allow brides to have access to any colour they want even though its not a seasoned colour in the retail stores.